Open the hood and locate the starter attached to the transmission bell housing. 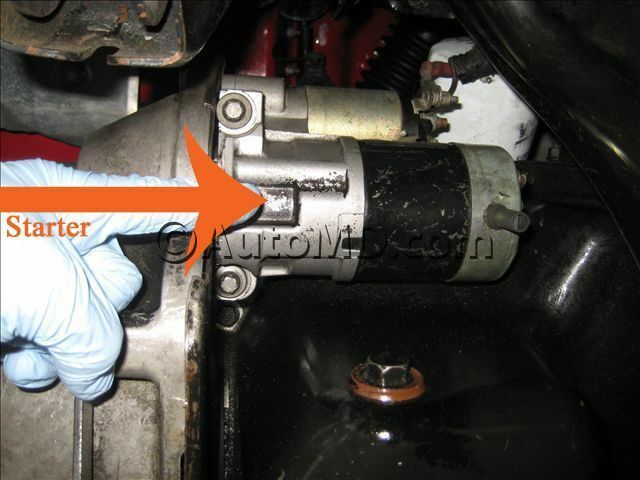 To inspect and remove the starter, it may be necessary to work under the vehicle. Park the vehicle on a solid level surface and set the parking brake. If the vehicle needs to be lifted, support it with jack stands. 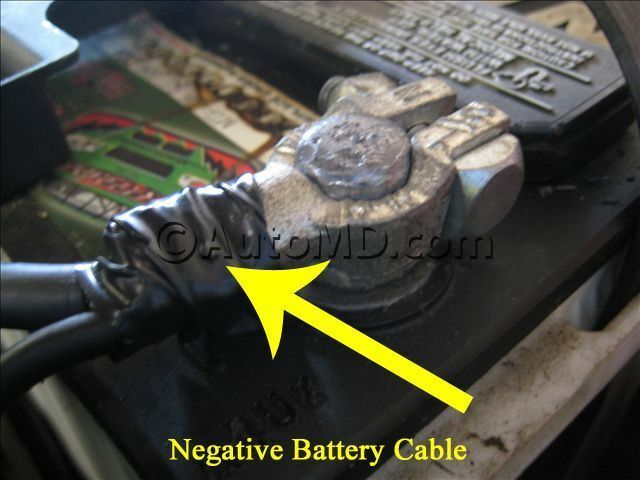 Disconnect the negative battery cable, wrap the cable end with a shop towel and place it away from the battery post. Mark the starter electrical wires for installation reference. Remove the starter wires. Remove the starter mounting bolts. Remove the starter. Compare the new starter with the old one to verify that you have the correct part. Using a flashlight, inspect the flywheel teeth (through the opening in the bell housing) while an assistant turns the engine over by hand. You should replace the flywheel if any teeth are missing, cracked, or chipped. Install the new starter and its mounting bolts. Tighten the starter mounting bolts to the manufacturer's specifications. 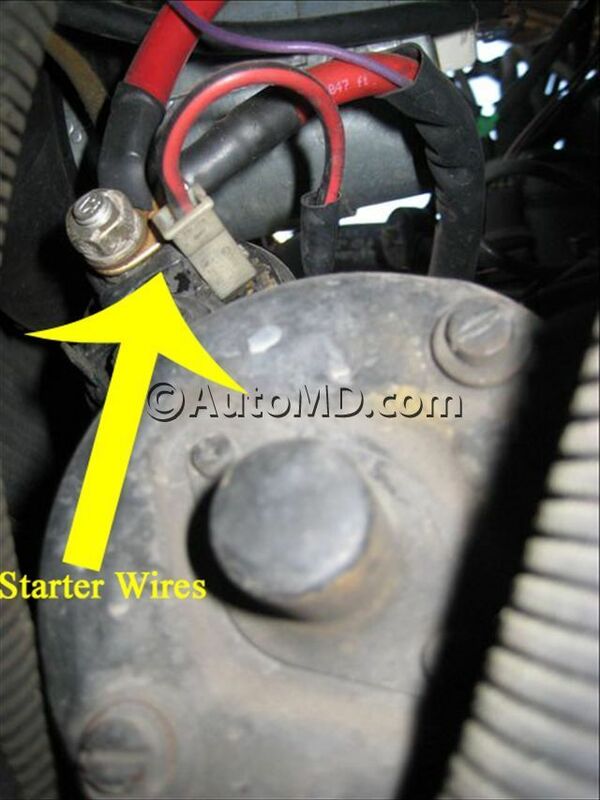 Reconnect the electrical wires to the new starter. Start the vehicle to verify the repair.